When I started my 365 days I draw, I intended to draw animals as much as I could. Animals, backgrounds, stories were what I thought I lacked in my drawings. I used to draw single thing and stop. My friends told me that it looked cute but not interesting enough. I needed to give my drawings unique characters, give them actions, give them stories. It was very difficult at first but with 365 days I draw project, I gradually built up my own catalogue of animals and stories. I 'm not satisfied with my drawing of cats or tigers yet but it's not so scary or difficult anymore. You just have to keep on drawing until you get them right. 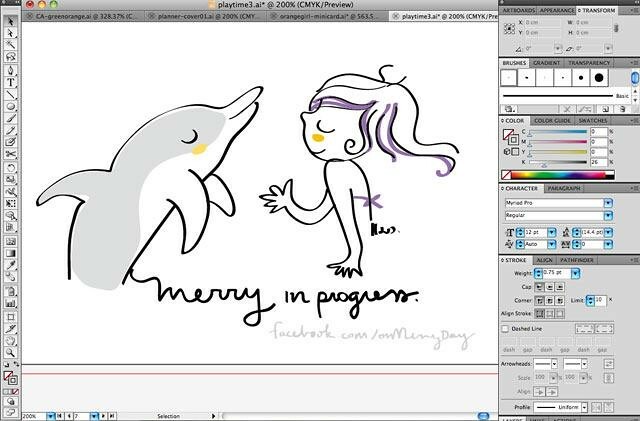 My dolphin looked in need of a companion so I added a little mermaid and I think they enjoy dancing together :) I usually work from a very rough idea and continue adding elements in the process. The caption "If you dance, I'll dance with you" just came up when I almost finished the details. 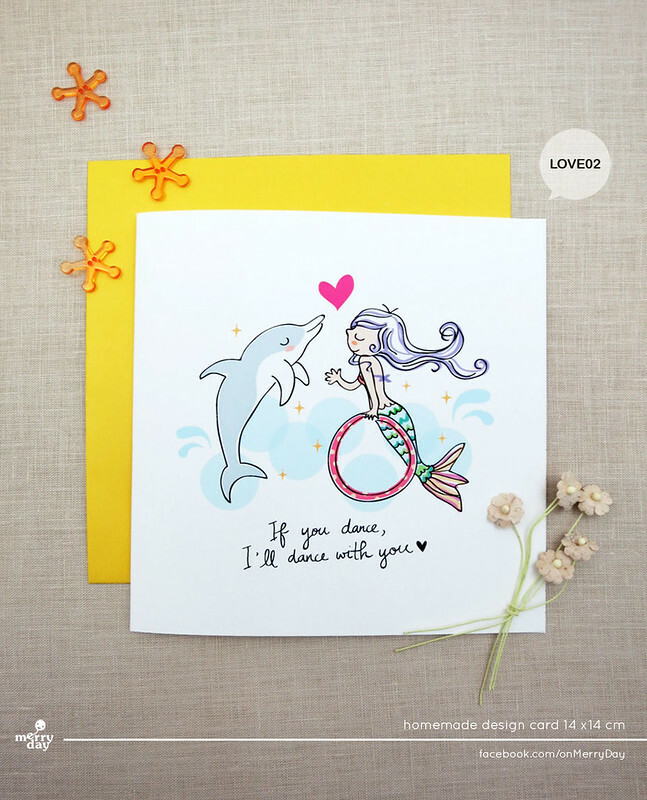 This illustration is designed for a greeting card but it suits well on a notebook cover (and other stationery items) too. 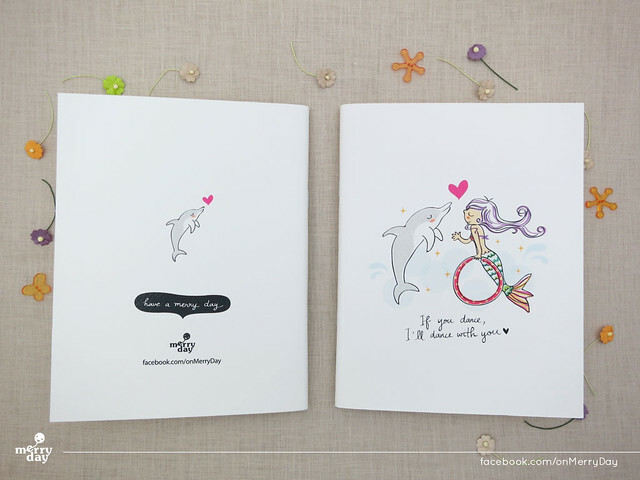 And here my dolphin notebook with front and back view!